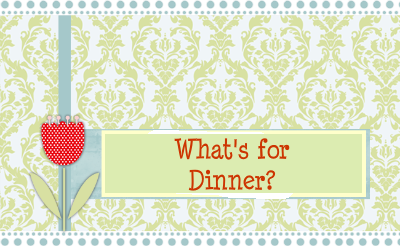 It's Wednesday again - so, what's for dinner in your house? I want to share a recipe I make often, and it seems to be a favorite in our house. I found it in Cooking Light years ago and it has stood the test of time. Click on this link to see the recipe I use for meatloaf. I make one change: substitute a package of onion soup mix for the minced fresh onions. I hope you enjoy!